GUATEMALA — “Ever since I filmed these Generals in 1982 I’ve wanted to see them pay for their crimes,” says filmmaker Pamela Yates. Accompanied by a fierce determination to unmask a hidden war, Yates originally went to Guatemala in the eighties to make a documentary about the fighting between the Guatemalan Army and the leftist guerillas, called Cuando las Montañas Tiemblan (When the Mountains Tremble). Thirty years later, material from her film, which captures some of the only footage of Guatemala’s 36-year-long civil war, is being used as forensic evidence in an international genocide case against one of its interviewees, former de facto president, Efrain Ríos Montt. Part political thriller, part memoir, Granito: How to Nail a Dictator is the sequel to Yates’ internationally renowned Cuando las Montañas Tiemblan. 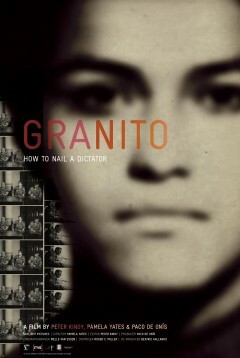 Featuring Yates trawling through boxes of 16mm film searching for evidence for lawyers to use against Ríos Montt, and following Nobel Laureate, Rigoberta Menchú, to Spain as she initiates a court case against the war criminals, Granito is a testament to never giving up. “For me, Granito is a second chance to help right a terrible wrong,” says Yates. From the highlands and cemeteries of Guatemala; to the inner chambers of the Spanish National Court; and to film studios in New York, Granito is a journey of brutality, impunity and hope. It introduces us to undaunted Guatemalans, like Antonio Caba Caba, who never gave up on their quest to uncover the truth about their buried past – despite their own government’s attempts to conceal it. Caba Caba survived one of the worst massacres of the Guatemalan civil war. He was eleven-years-old when 250 army officers attacked his rural village, Ilom, at 5 a.m. and killed 95 people. “They ordered the survivors to dig a grave and made us walk past the bodies and look at them. Some people saw their parents lying dead,” says Caba Caba. In 2001, Caba Caba traveled to Madrid to testify on behalf of his community at the Spanish National Court in the Guatemalan Genocide Case. However, the Guatemalan Constitutional Court blocked the Spanish arrest warrant and Ríos Montt could not be brought before the Spanish Court. However, Granito documents the fresh hope for the families of the 200,000 people who were killed at the hands of the government during the war. Alongside fearless lawyers, forensic anthropologists and a formidable group of witnesses, the team uncovers an incriminating interview with dictator General Ríos Montt and a hidden archive from Guatemala’s National Police. 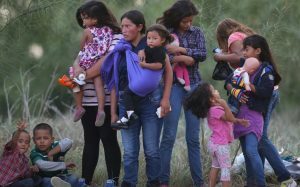 “We now know that hidden in that war was a genocide the Guatemalan military dictators committed against the Maya people. The anger I feel towards those Generals is almost unbearable,” says Yates. “Granito is a concept I first learned in the Guatemalan highlands and have carried with me throughout my filmmaking life. It reflects the communal values that guide Maya communities and means that each of us can make a small contribution to positive social change, and together we can make great changes in favor of equality and human rights,” says Yates. The film, which has already won a host of awards including Best Creative Documentary at the Paris International Human Rights Film Festival, is being screened at various places throughout the United States. Previous Post You are a Philanthropist! @rebeccalipe And thats not a genocide, the middle class in america is more like one. @rebeccalipe They’ve killed thousands of women over the last 10 years without ANY prosecutions. There is no law there.